My Uber pulled up to the address that I had given the driver. At first, I thought she had made a mistake. It was not what I had expected. 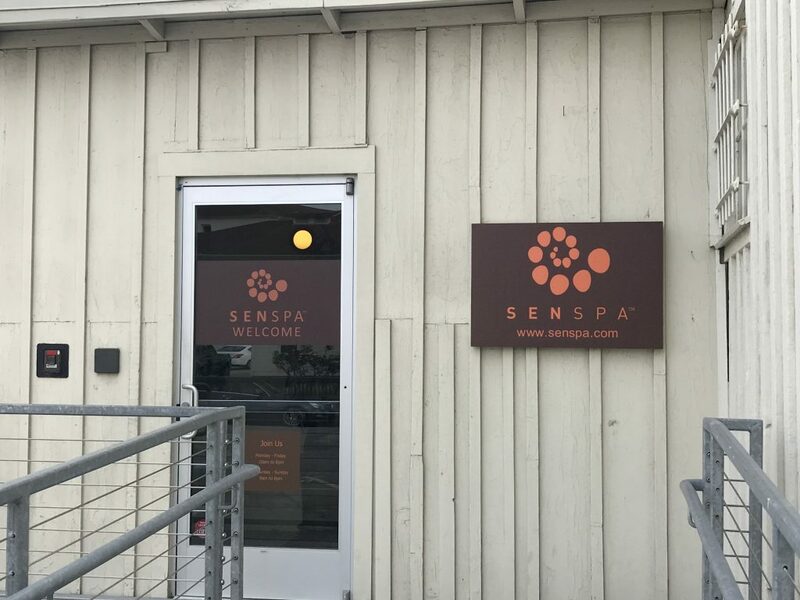 The following is my experience at SenSpa – San Francisco’s Secret Zen Oasis. Seeing the signage I understood I was in the right place and proceeded to open the door. Immediately upon entering I was taken aback. SenSpa in San Francisco is truly a Zen oasis. A familiar calming scent permeates the beautiful interior. 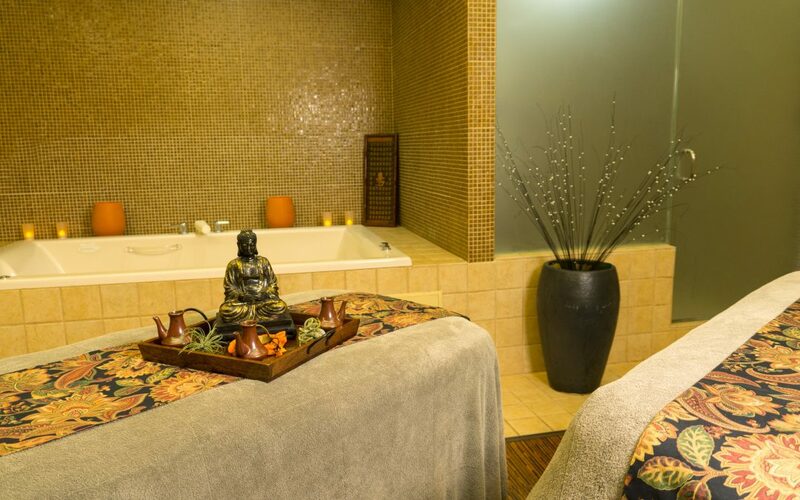 Every inch of the spa brings a sense of calm and serenity. A lovely woman named Leslie Shilling whose gentle nature and clear love of what she does greeted me. She gave me a wonderful tour of the whole spa, which by the way has absolutely everything you could possibly need to indulge in self-care. After my tour and some awesome signature tea, I was brought to the changing room where I donned a gloriously soft robe. Before I headed to the quite room to wait for my masseur I checked out the amazing complimentary ammonites SenSpa offers. 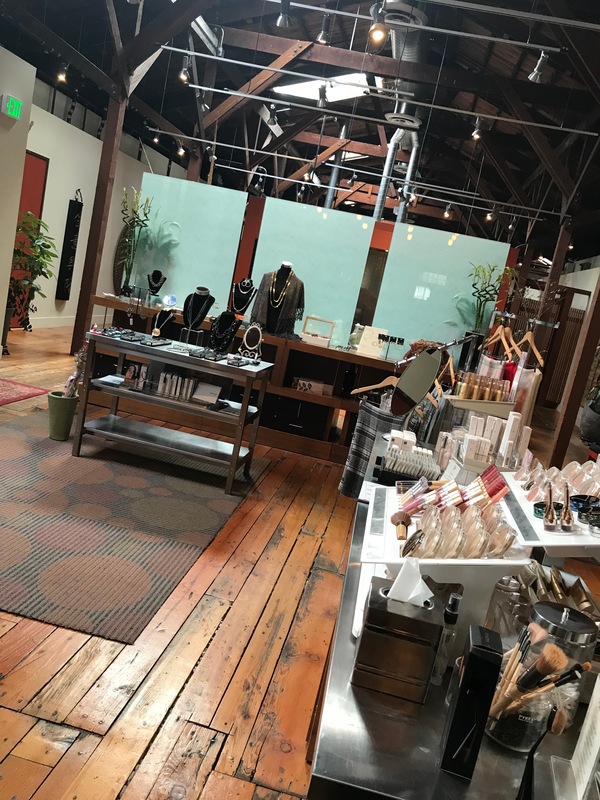 From luxury soaps to brushes, deodorant, hairspray, and Q-tips, everything you could need to round out your treatment is offered. The owners have truly thought of everything! 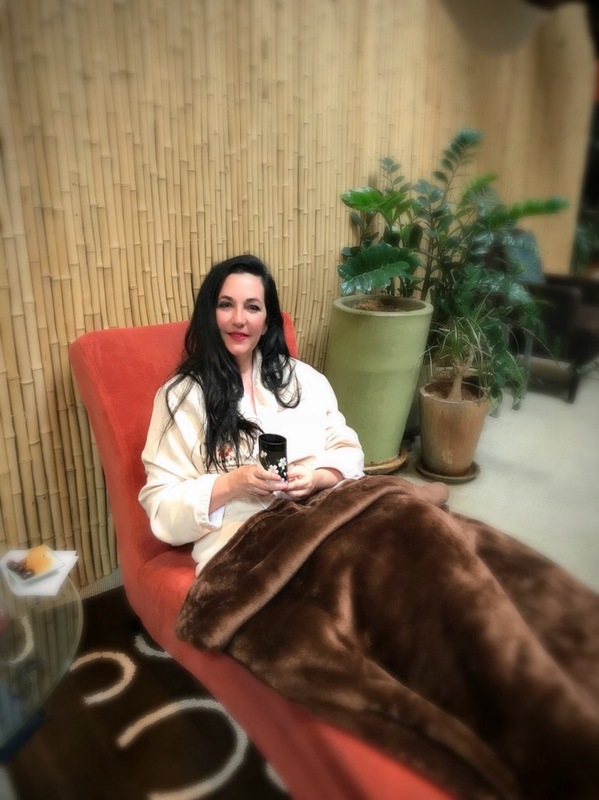 I ventured out and found a lounge chair with a heavenly blanket near a waterfall and sipped on tea until it was time for my appointment. I was about to drift off to never, never land when my masseur gently called out my name. Colleen Hyman introduced herself and brought me to my treatment room. The temperature was perfect as was ambiance. I had chosen to indulge in a 75-minute hot stone massage and everything was waiting for my arrival. I climbed on the massage table and for a minute I thought angels had come down from the heavens, placed me on their wings, and were carrying me through puffy clouds. Okay, if you are a regular follower of mine you know that I can go off on my explanatory descriptions, but honestly, that’s how I felt! The table was draped in, what I can only guess was Egyptian cotton linen, and one of the softest blankets I’ve ever felt. Colleen explained the treatment, asked me if I wanted her to concentrate on anything in particular, and began one of best massages I have ever had, seriously! Everything about the massage was perfect. From the temperature of the stones to the pressure…even the tone and volume of her voice was soothing and exactly as it should be. After the massage, I was completely relaxed and felt at peace. I love hot stone massages and mine was exceptional. I dressed and sat in another comfortable chair with yet another lush blanket to keep me warm. Colleen served me warm tea, cold water, and a dish of delicious snacks to help with my after massage recovery. SenSpa offers a multitude of services so there is definitely something for everyone. They also offer freshly prepared meals, drinks, wine, and champagne to make your experience extraordinary. If you ever visit SenSpa, most definitely ask for Colleen. Although I’m quite sure that every person who is employed there is as wonderful as she is. The owners got it right with this spa and it’s no wonder they’ve been in business for 12 years. 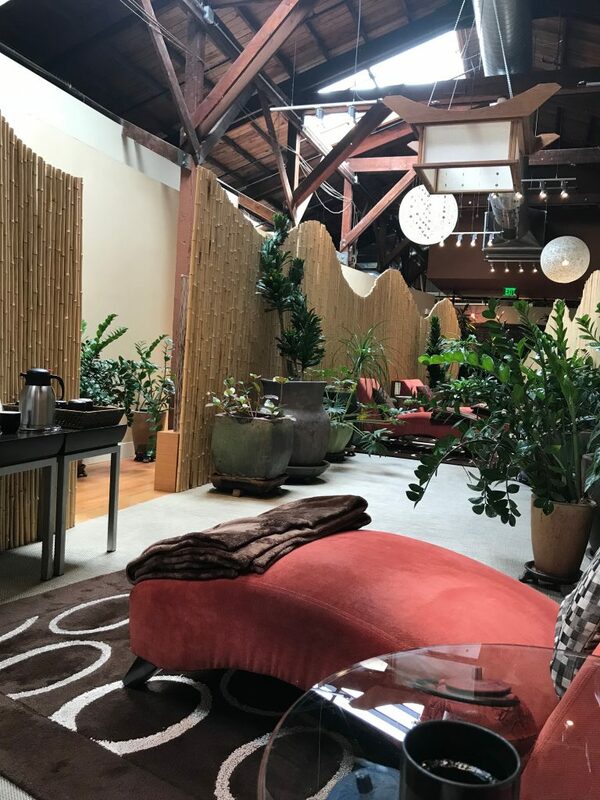 Every aspect of the spa is exceptional from staff, décor, ambiance, services, food, and amenities; this is truly a Zen Oasis right in the middle of San Francisco.